Ryan Lochte to Guest Star on 90210! Here's some news that'll make you say "jeah"! Ryan Lochte, Olympic gold medalist and Internet sensation, is set to make his acting debut with a guest-starring role on the CW's 90210, CBS Television Studios confirms. Looks like that move to L.A. is already paying off! So who is the swimmer playing? Himself! Playing himself, the aquatic superstar will turn up as a guest at a resort where the recently-reunited Naomi and Max are staying in an attempt to strengthen their relationship. Yes, Lochte will cross paths with recently reunited couple Naomi (AnnaLynne McCord) and Max (Josh Zuckerman) at a resort, where they are attempting to strengthen their relationship. Maybe Lochte could offer up some pointers? "When we found out Ryan Lochte was going to be in town and might appear on 90210, we felt like we'd won a gold medal! Team USA are all-stars in our book, and we're so excited he's making an appearance on the show," executive producers Patti Carr and Lara Olsen said in a statement. "We only wish the episode was a surf event so we could have gotten him in the water, but he deserves a little rest on dry land." 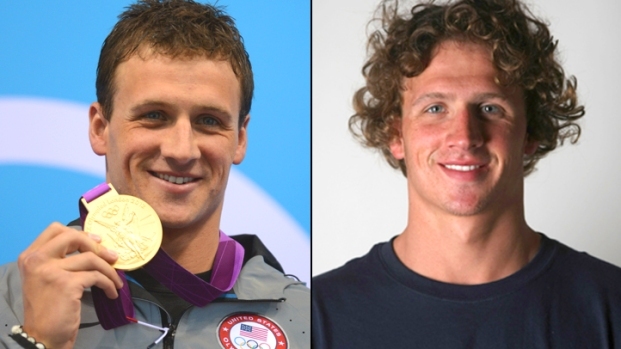 Lochte's episode is set to air on Oct. 29, while the show's fifth season premieres Monday, Oct. 8. TVLine first reported the news of Lochte's casting. The 28-year-old recently expressed his interest in TV...reality TV, that is. "I'm definitely looking towards Dancing With the Stars and The Bachelor, so we'll see what happens," Lochte said during his appearance on Today. While 90210 is Lochte's first role on the small screen, he recently poked fun at himself in a Funny or Die video with Simon Pegg and Sir Patrick Stewart. Playing himself, the aquatic superstar will turn up as a guest at a resort where the recently-reunited Naomi and Max are staying in an attempt to strengthen their relationship. Lochte -- who made his debut as a thesp last week in two Funny or Die videos -- has been vocal about his desire to take on Hollywood after his strong showing at the 2012 London Games. However, his interests initially seemed to be of the reality variety, with the swimmer naming both Dancing With the Stars and The Bachelor as dream projects. Check out more pics of awesome Olympians!